It's just an online website where you can quickly upload a file → protect it with a password (optional) and set an expiration period → use any medium to share the link it generates with whomever the sender wants. Set Time Limit — While uploading the file, you can choose a time range between 5 minutes and week after which your file link expires, making it unable to download at the recipient's end. 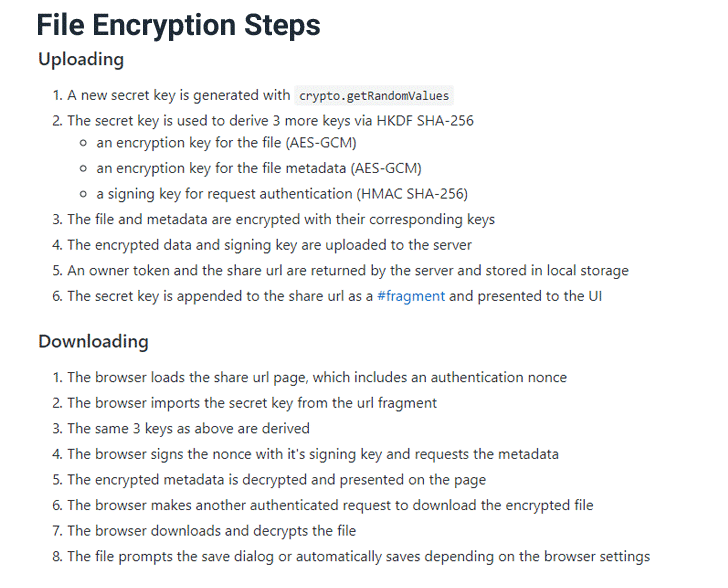 "We know there are several cloud sharing solutions out there, but as a continuation of our mission to bring you more private and safer choices, you can trust that your information is safe with Send," Nick Nguyen, Mozilla's Vice President of Firefox Product, said in a blog post. 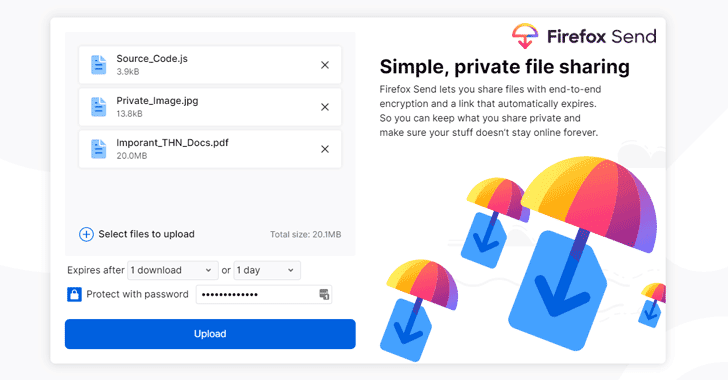 "As with all Firefox apps and services, Send is Private By Design, meaning all of your files are protected, and we stand by our mission to handle your data privately and securely." Besides its online portal, Mozilla is also launching a Send Android app in beta later this week, allowing users to share large files with their friends, colleagues, or anybody else using their mobile devices. If you want to take a peek under the hood, you can head over to the GitHub page of the new Firefox Send service.